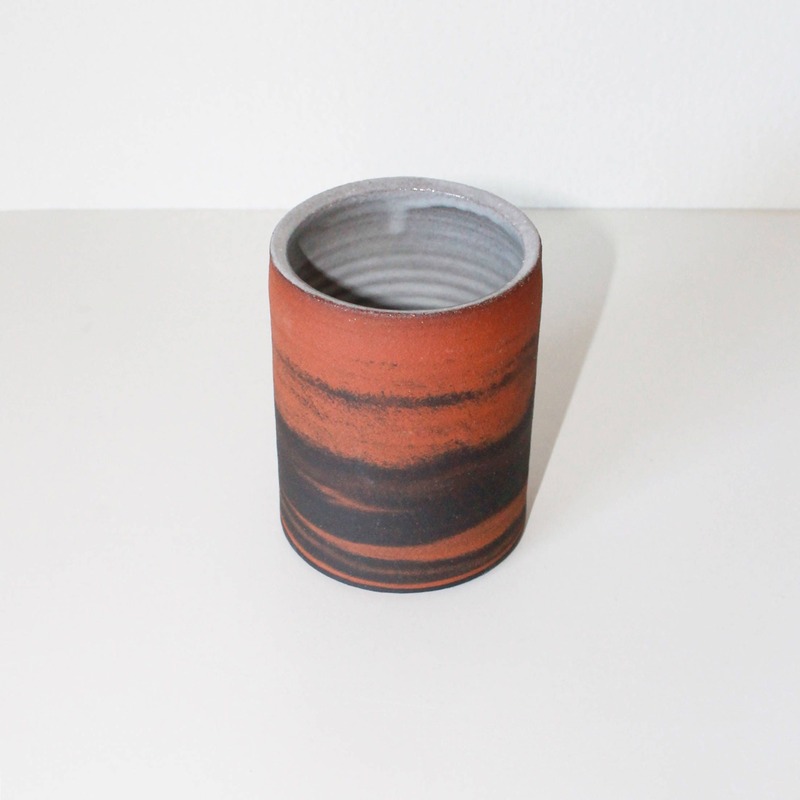 Hand thrown ceramic tumbler with marbled exterior and speckled white interior. 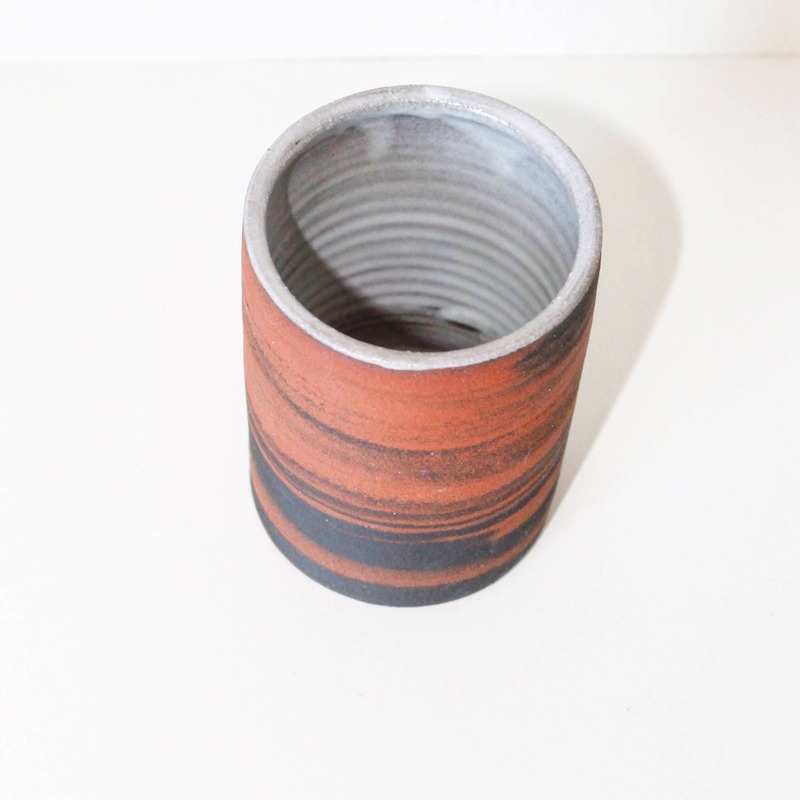 Brown & red clay is combined on the wheel to create this rustic marbled effect. 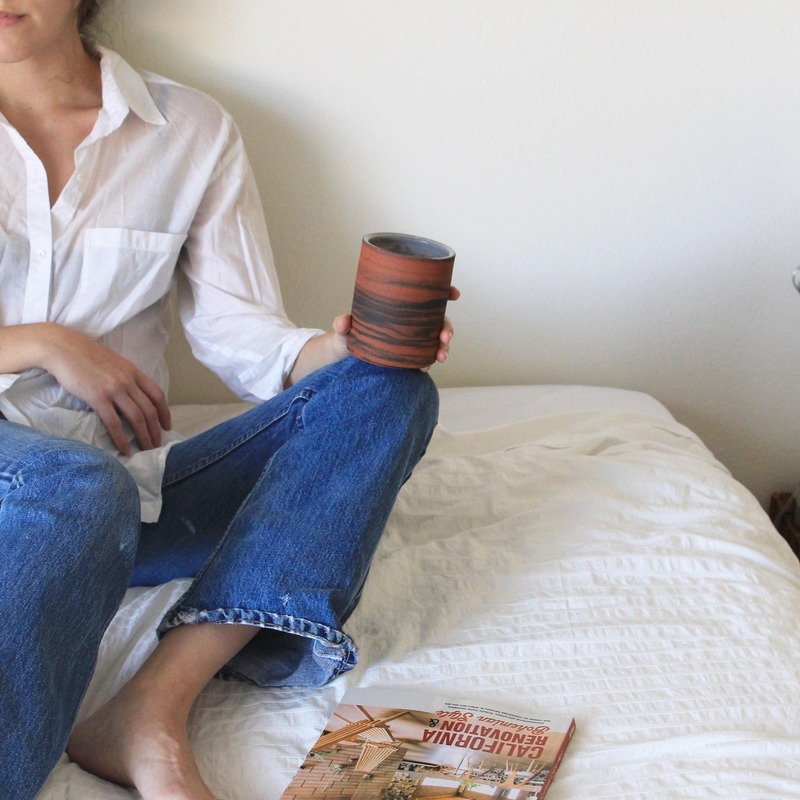 The tumbler is shaped to fit comfortably and easily in your hand. The base is trimmed to create a light and attractive foot. The rim is glazed and smooth to the touch making sipping comfortable. This item is food/microwave/dishwasher safe. 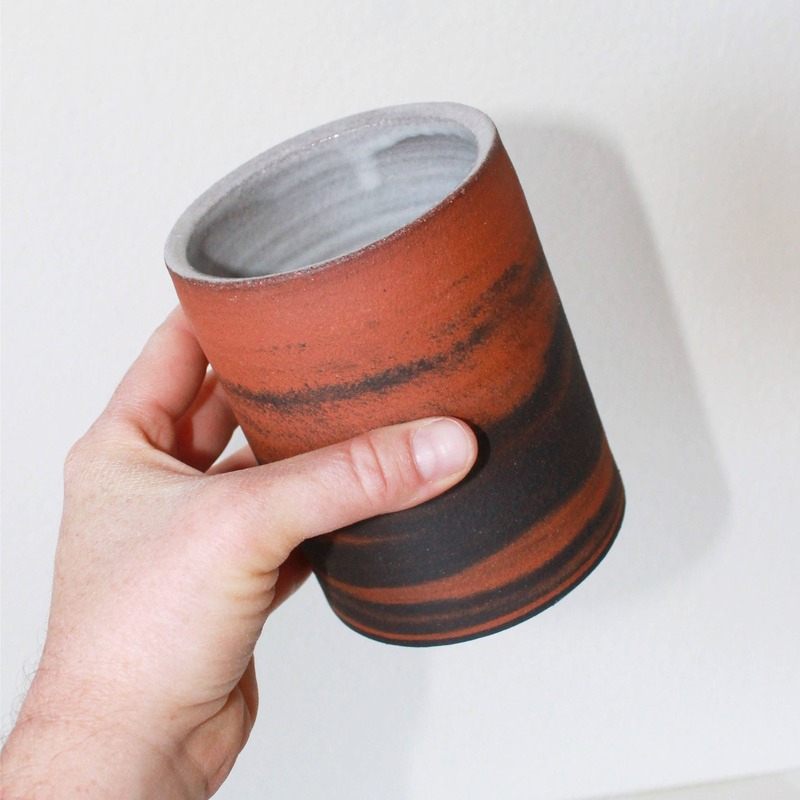 It is glazed with lead free and non-toxic glazes. 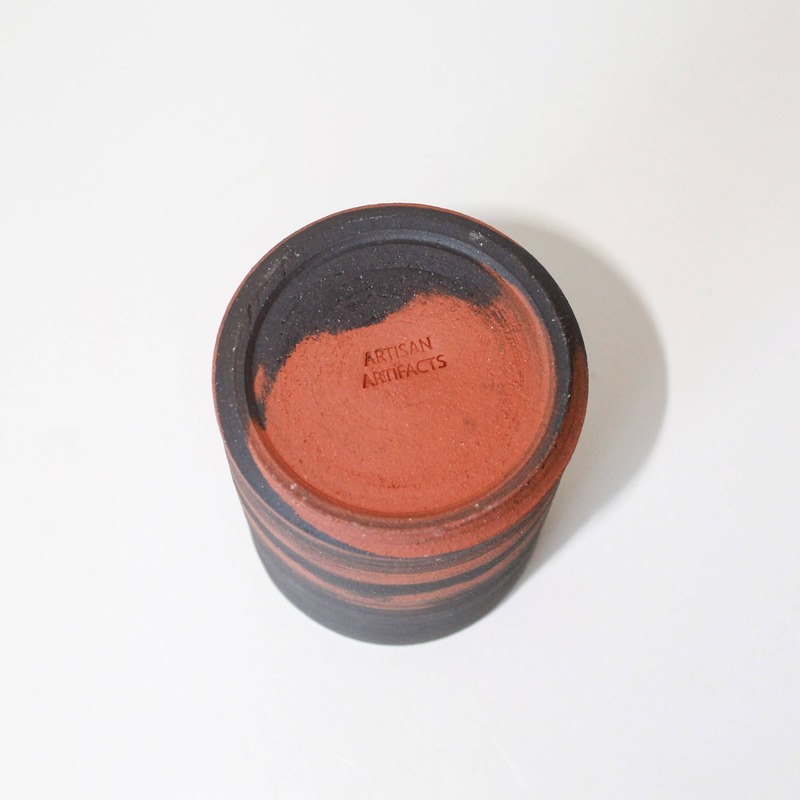 It is stoneware and is very durable.